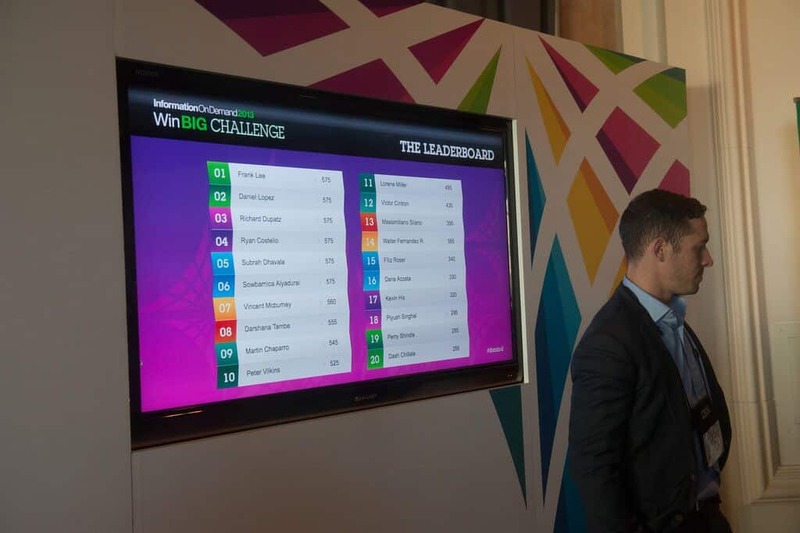 How does a digital trade show game leaderboard drive more repeat traffic to a trade show booth? It’s all about people — proud, competitive people – who like to win, be seen as winners, and stay on top. 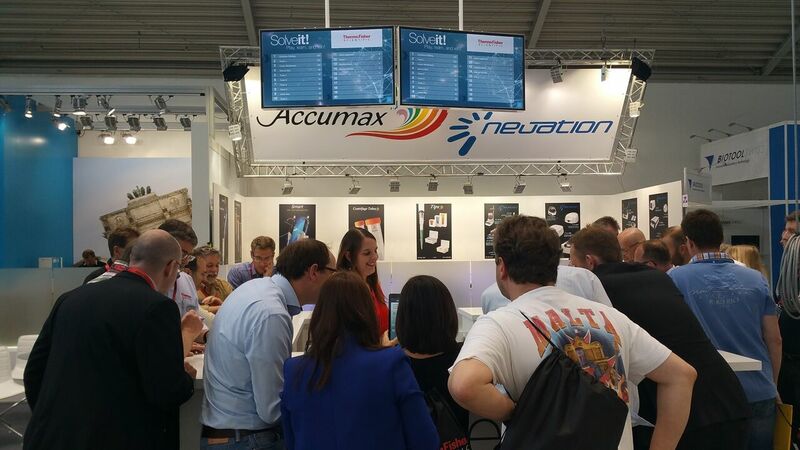 Thousands of people have stopped in a trade show booth to play our digital games such as the Virtual Prize Wheel or the Challenge Bar Trivia Game, drawn in by the visuals and the crowds of excited players. Those games are very popular, and do a great job of bringing in people to the booth the first time. The attendees might do so well on the game that they scored high enough to rank on the leaderboard. They see their name or their picture up on the big screen! Hooray! They leave the booth happy winners. But remember, people are proud and competitive. In doing so, they have recruited more visitors for the exhibitor’s booth! These new visitors will play the digital trade show games, and become new prospects for the booth staffers to talk to. Over the course of a multi-day event, people come back to see, “Am I still there? Am I still above Joe? Am I above Sally? Oh no! I am below Sally! I need to try again!” And so, the exhibitor gets more info from them when they fill out the game surveys, and the booth staffers get another chance to talk to them. At every event that I’ve been a part of where there is a leaderboard, there’s always somebody, somebody who wants to take a picture of their name on the leaderboard. They want to be in the picture and they want to be on the leaderboard. So, if you have a leaderboard in your booth, then leave a space beside the leaderboard so that people can stand there and take a picture. And if the booth visitors win a big prize awarded at the end of the event? Put that on the leaderboard and then they will come back again to get their prize – and bring even more friends! 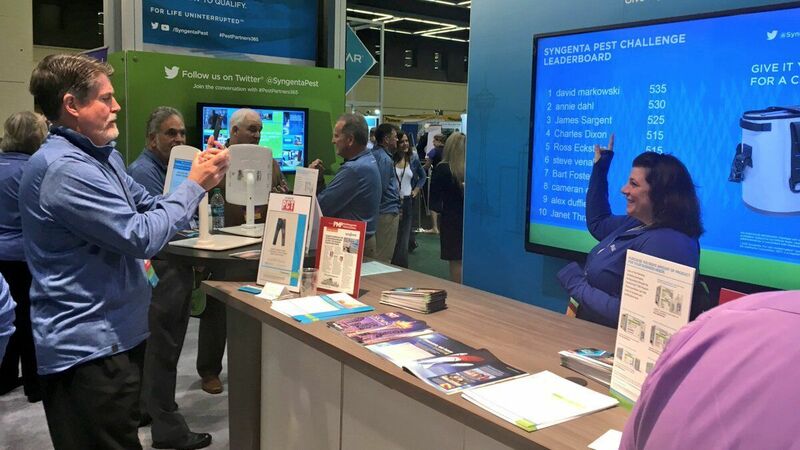 Therefore, a leaderboard leverages the natural competitive drive of trade show attendees to help bring booth visitors back – with their entourage!